How do I set up a credit card machine for my business? Congratulations! You have a new business, and now you’re moving toward determining how do I set up a credit card machine for my business? Let us help in showing you how to get a credit card machine for your business, and along the way, we will also help you understand the importance of accepting electronic payments. I’m sure when you first took the steps of starting your business, you were meticulous in selecting components such as location, products, and employees. 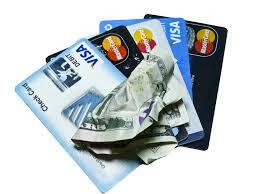 You should also be just as careful selecting your credit card processing agency. While all merchant servicing may look similar, the truth is there are vast differences, and you’ll benefit or pay a not so great price if you spontaneously sign with the wrong processing company. Myth: a local bank is the best for setting my new business up with a credit card machine. Wrong, the truth is many people have found that big banks tend to withhold transparency, essentially keeping merchants in the dark on specifics. Leasing is also another complaint that exists when exploring questions on , how do I set up a credit card machine for my business. Usually new businesses flock to local and well-known banks because they think there is safety in notoriety. Not a given. The fact is your money is always bank-connected and you’ll have that net with a provider without the added costs. Leasing your machine, you can, if that’s your desire, but as friendly advice to new business owners, leasing is simply not necessary unless you’re getting a huge benefit! As we continue, I’ll show you how to get a superior deal as a small business owner. Another mistakes small business owners make when exploring, how do I set up a credit card for my business is to take the position you are doing the processing company a favor by giving your business to them. I wish more business owners would understand their power when dealing with B2B, and trust me you have a lot! Resist the common willingness to go with a merchant service that offers you nothing but a pen or coffee mug for your business. You can get a pen and mug for about a buck. What you should seek are supportive measures that will assist you ensuring that the electric payment processing is conducive for your business. What does tech support mean to you? When I call and ask for help, will there be an answer? No your service provider before you explore setting up equipment. Square ® doesn’t always mean it’s well-rounded for your business. I can spend a lot of time discussing the pros and cons of processing with Square or PayPal ®, but we don’t need to waddle through all of that jumble. Instead I’ve learned to sum up my advice to small business, new and existing in regards to Square and PayPal, if you’re sales are on the small side, Square and PayPal may work fine for you, however, if you are planning on doing sufficient business, opt for another service that will take less from your profit. You see, remember there’s more to knowing how to set up a credit card machine for your business, you need to understand that as a business owner you have command. Get something out of your merchant processing, your business deserves the special attention.